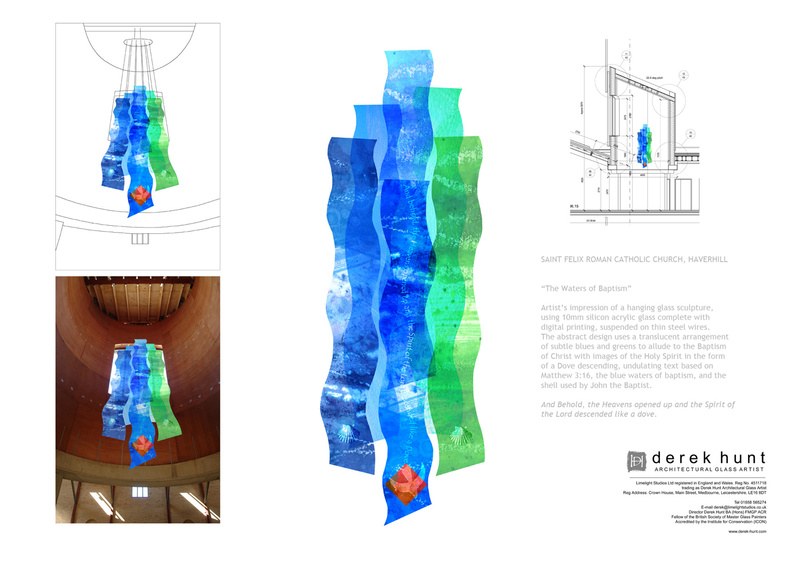 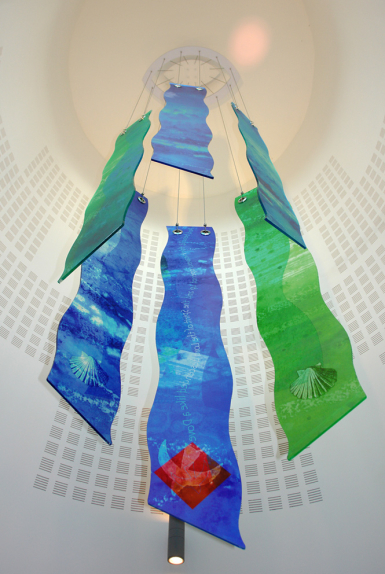 Artist’s impression (left) of a hanging glass sculpture, using 10mm silicon acrylic glass complete with digital printing, suspended on thin steel wires. 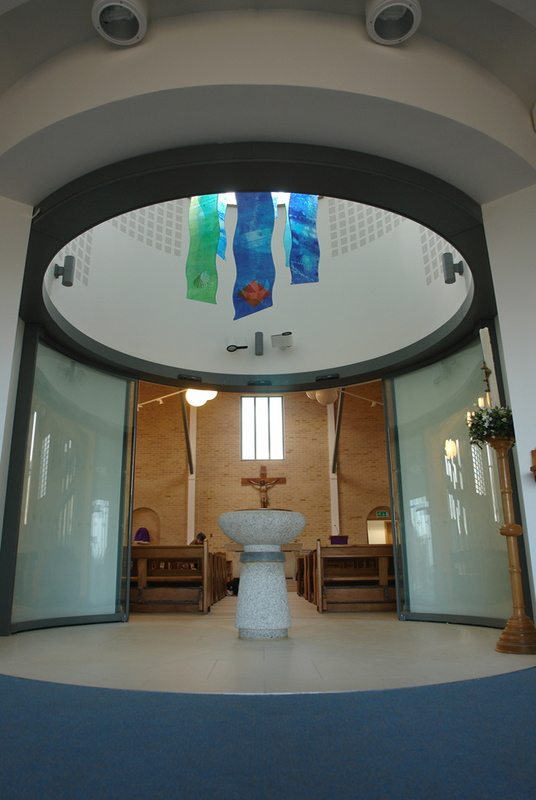 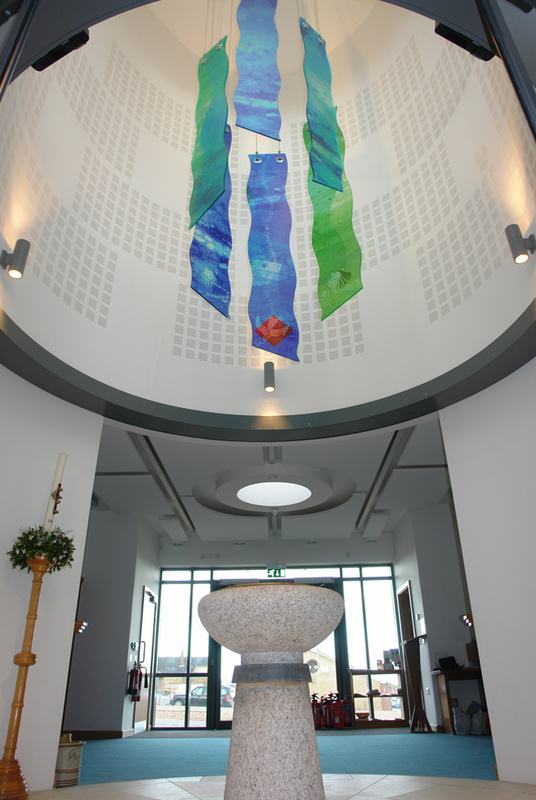 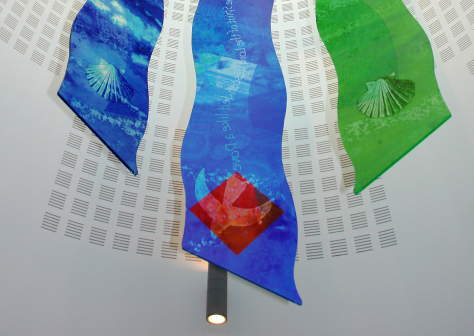 The abstract design uses a translucent arrangement of subtle blues an greens to allude to the Baptism of Christ with images of the Holy Spirit in the form of a dove descending, undulating text based on Mathew 3:16, the blue waters of baptism and the shell used by John the Baptist. 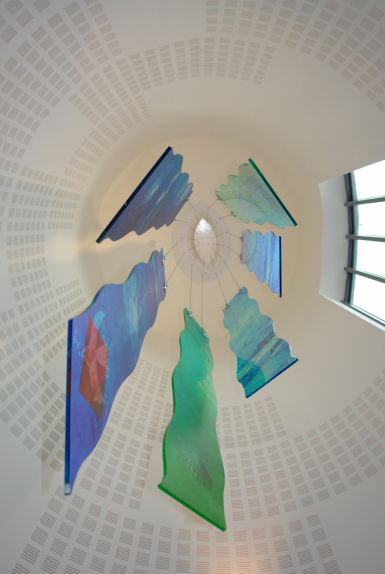 And Behold, the Heavens opened up and the Spirit of the Lord descended like a dove.